Every game, all active duty, VETERANS, retired and civilian personnel can receive a military discount of $2 off ticket with a valid military ID (limit 4). Discount available at the Box Office windows only. While their website does not specifically mention veterans, we recently confirmed veteran eligibility directly with the Peoria Sports Complex. 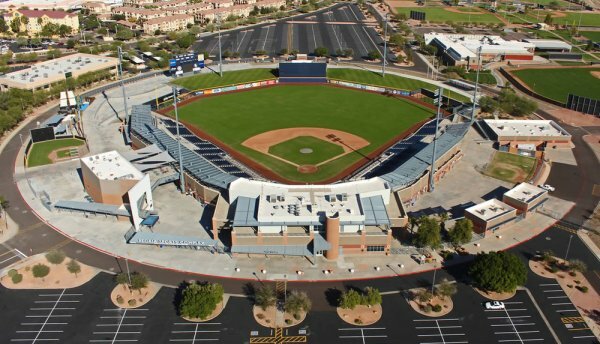 Peoria Sports Complex was the first Major League Baseball Spring Training and player development facility in the country shared by two teams. Built in 1994, the complex has served as a model for other facilities of its kind. 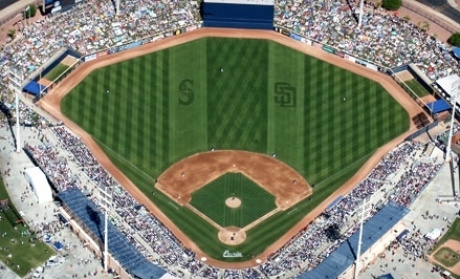 Through 20 year leases, the San Diego Padres and Seattle Mariners utilize Peoria Sports Complex year round. 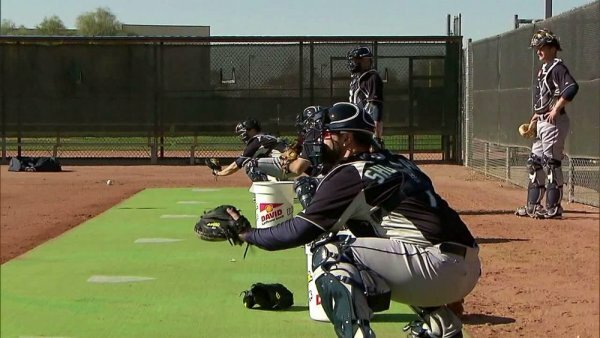 In addition to Major League Spring Training, the complex is used for each team’s player development systems. 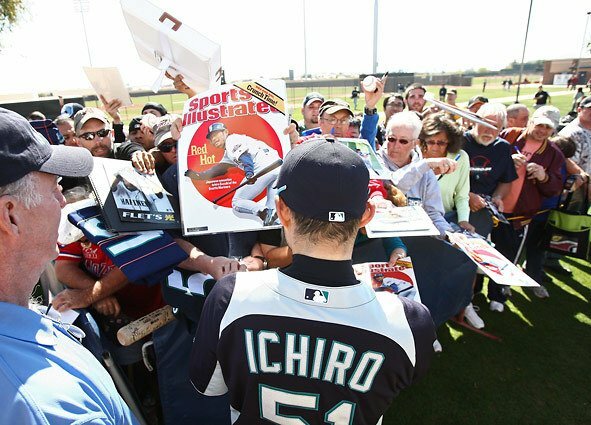 In the off-season, the complex is the site for player rehabilitation, Extended Spring Training, Arizona Summer League, and Arizona Instructional League baseball. The complex is also home to an Arizona Fall League team, the Peoria Javelinas. International teams from Japan, Korea and China have also used the facility for instructional and spring workouts. 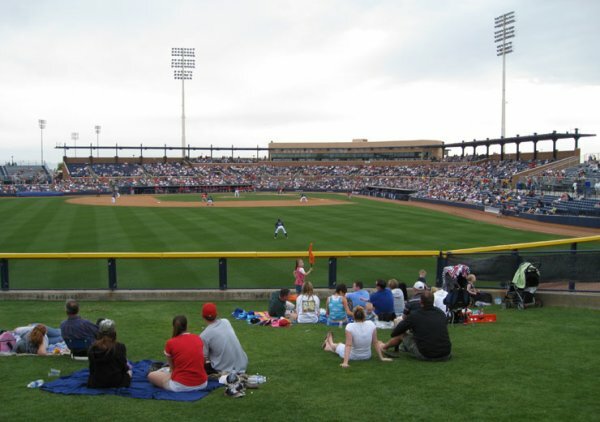 Peoria Sports Complex is utilized year-round by local and national youth and adult baseball tournaments and championships. The complex is also host to a variety of events such as concerts, art shows, car and RV shows, bike races, outdoor weddings/receptions, private parties, group events and charity fundraisers. City sponsored special events are also held annually for 4th of July, Easter and Halloween. The area surrounding Peoria Sports Complex includes numerous hotels, restaurants, shopping and entertainment.